Let’s say you want to lock, unlock, and start your car from your iPhone – well… there’s an app for that! I just picked up this crazy, yet awesome story in the USA Today that’s covering a California based company who today, Tuesday, announced an iPhone app that works in conjunction with a car receiver that will enable users to lock, unlock and start their car – remotely – with the iPhone. This is an amazing application, and yet another example of how your iPhone is integrating into your car. The other application I’m thinking of is the GPS iPhone App by TomTom. This is turn by turn navigation from your iPhone, while you’re driving in your car. You can get The Viper SmartStart iPhone App for free in the iTunes App Store here. 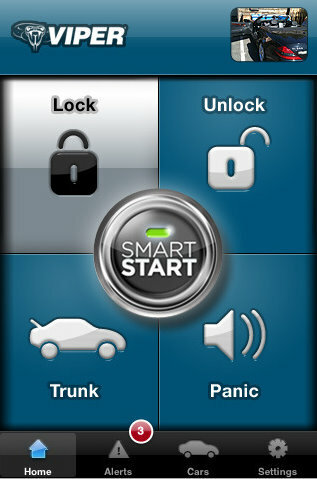 Although the app is free, you will still need to visit the Viper store and get SmartStart installed in your car. There are costs associated with the SmartStart system, but you can read all about it here.